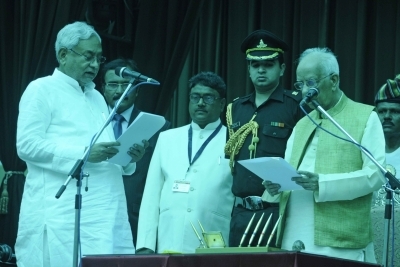 Patna, July 27 (IANS) Nitish Kumar on Thursday took oath as Bihar Chief Minister with Bharatiya Janata Party as partner of his Janata Dal-United, within 24 hours of quitting the Grand Alliance. 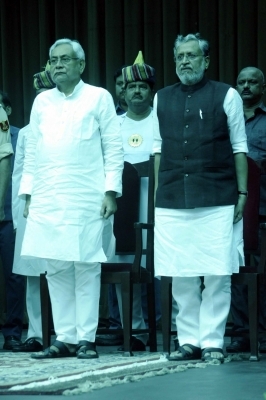 This is his second innings in the last two years, after he snapped ties late on Wednesday with the Grand Alliance partners Rashtriya Janata Dal and the Congress, over corruption charges against Deputy Chief Minister Tejashwi Yadav. 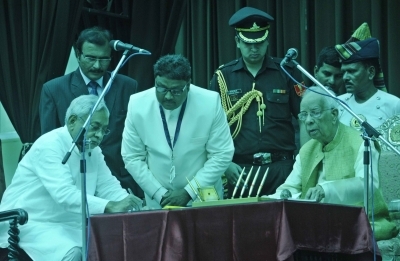 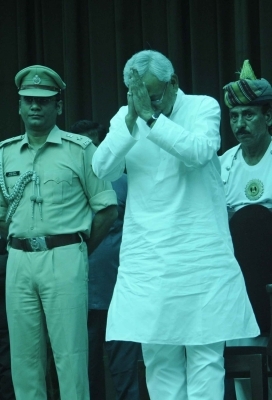 Governor Keshari Nath Tripathi administered the oath of office to Nitish Kumar at the Raj Bhavan here.